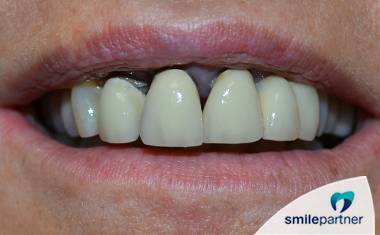 A bridge on dental implant is a fixed solution that allows to replace one or several absent teeth with dental implants. 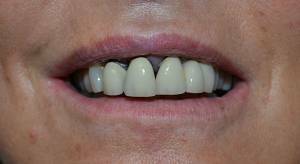 This solution allows to regain your perfectly fixed teeth. 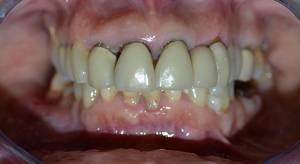 Two visits are required for placement of a bridge, the first one is a 1-day visit, the second one is a 3-day one. 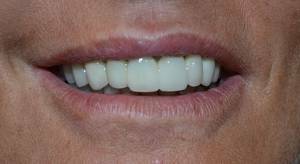 After the healing period of 3 to 6 months between these two visits, also called osseointegration, a dental bridge is fixed on the implants. 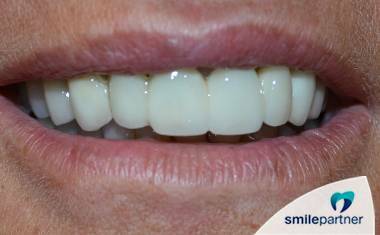 Do you wish to benefit from a bridge on implant ?